Twitter is a wonderful platform for promoting your business. As a matter of fact, in comparison with all the other social media platforms, Twitter makes it extremely easy to find people with whom you intend to establish connections with the help of hashtags. In addition, it incorporates a notification system that informs people when they have been mentioned in tweets or when actions have been taken with their profiles. This assists them in following you back or responding you. Here are a bunch of tips and tricks to style your Twitter profile and distinguish yourself from the rest of the pack. This guide provides you with insight about how your Timeline appears on Twitter when people click your Twitter handle to check your profile. 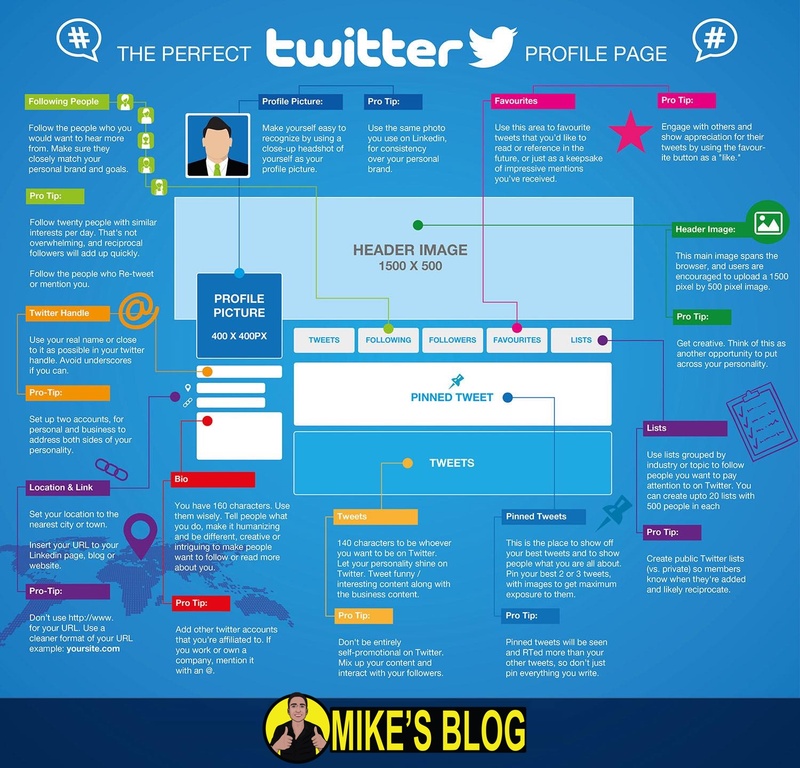 This tips will help your design your Twitter profile appropriately. The dimensions of the Twitter header are 1500 x 500 pixels. However, approximately 50 pixels from the top and bottom get hidden based on the varying screen sizes and devices. Your content should remain in the top center of the header for optimum exposure. You can make use of the Twitter design panel to match your theme colors to your brand. The theme configuration controls the links, hashtags and toolbar or navigation bar tabs of the user profile. The customized colors are only available in the web browser and not in the smartphone app. It will help you stand out from the crowd. The Twitter bio is restricted to 160 characters with the exception of the website link. You can use the right keywords to gain traction among your intend audience. The relevant keywords and hashtags can attract people to your profile when searching online for your business. Twitter tends to display your profile as a suggested person to follow whenever someone makes use of keywords similar to yours in the profile or when someone follows a user who is using the similar keywords. It will help you connect to people whom you want to follow but will also help build up your followers who are linked somehow to your products and services.